In all seasons, Tintagel is truly a magical place. 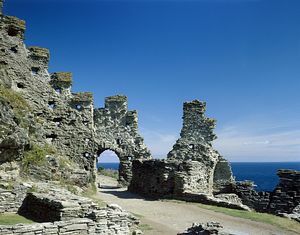 With its spectacular location on Cornwall's most dramatic Atlantic coastline, Tintagel is a place of myths and magic, where the legend of King Arthur was born. See Atlantic breakers crash against the cliffs and through Merlin's cave as you climb the path to Tintagel Island. Visitors can take the rugged trail across to the island and experience the breathtaking views at the place where it is said that Arthur, child of the beautiful Queen Igraine lived. The ruins of the 13th century stronghold of the Earls of Cornwall remain and still have the power to inspire. Mysterious Tintagel has many secrets to unravel. Recent excavations have revealed trade links between the Mediterranean and Cornwall in the 6th century, alongside the discovery of the "Artognou". 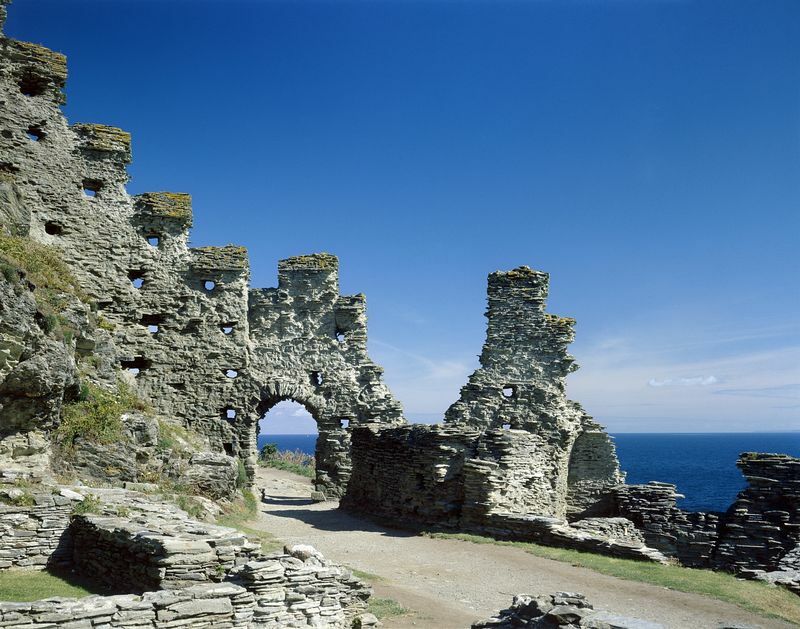 This led to speculation that Tintagel was an important stronghold for the early Medieval rulers of Cornwall and fuelled tantalizing speculation about the romantic Arthurian legends. The cliffs of Tintagel lie at the heart of a Site of Special Scientific Interest. Rich in flora and fauna they provide breeding grounds for sea birds, lizards and butterflies. Wild flowers and lichen grow among the rocks, created from layers of volcanic lava millions of years ago. Tintagel now has a cafe set above the beach, serving a delicious selection of hot and cold snacks and light meals, all sourced from the finest local Cornish ingredients. Located on south-west coast path. On Tintagel Head, ½ mile along uneven track from village. Signposted.